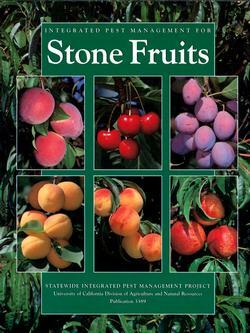 Chemical Thinning of Stone Fruits Grown in the Sierra Foothills By Lynn Wunderlich, Farm Advisor, University of California Cooperative Extension, El Dorado and Amador Counties; Cooperator: Scott Johnson, University of California Pomology Specialist, Kearney Agriculture Center. Summary of a chemical thinning research report. CTFA Final Report 2002 By Lynn Wunderlich, Farm Advisor, University of California Cooperative Extension, El Dorado and Amador Counties; Cooperator: Scott Johnson, University of California Pomology Specialist, Kearney Agriculture Center. EDA-2-02 Bird Pest Management of Fruit Grown in the Foothills By Lynn Wunderlich, Farm Advisor, University of California Cooperative Extension, El Dorado and Amador Counties. Monitoring and controlling strategies for fruit growers of the foothills. For more information or to order online, click on image. Peach buds at full bloom.